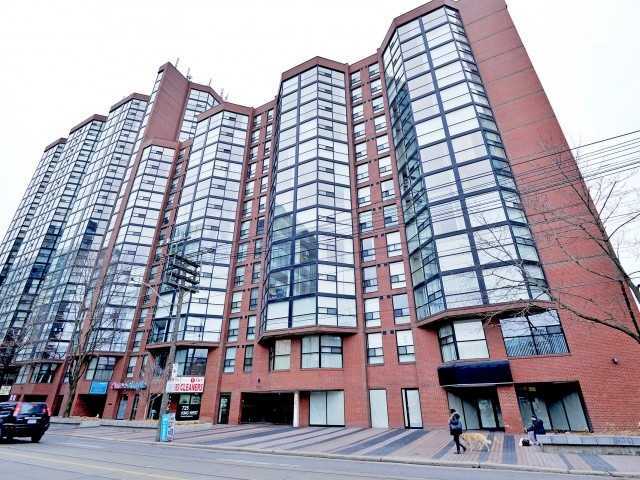 Beautiful Renovated 2 Bedroom Unit Featuring A Solarium And Sitting Area. Very Bright And Spacious Floor Plan. Located In Trendy King Street West Village. Steps To Transit, Top Restaurants, Galleries And Shops. Building Features A Spectacular Courtyard With A Playground, Outdoor Pool And Outdoor Bbq Area. Manny Amenities On Site Including, Hair Dresser, Chiropractor, Spa, Fitness Classes, Library. Parking Includes One Bike Rack. The Summit Complex Is Also Minutes Away From Trinity Bellwoods Park, One Of The Largest, Most Historic, Popular And Beautiful Green Spaces In Toronto. Want to learn more about 213-725 King St W (King / Bathurst)? I would like to learn more about 213-725 King St W (King / Bathurst).